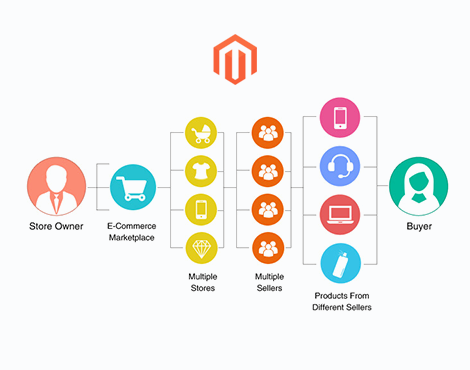 Nano It World helps Magento store owners expand their businesses with its multi-store Magento store development services. Based on clients' requirements and preferences, we offer multi-store both with and without same domain. With multistore clients can manage quantity and quality of content on one store and can offer their customers improved shopping experience. 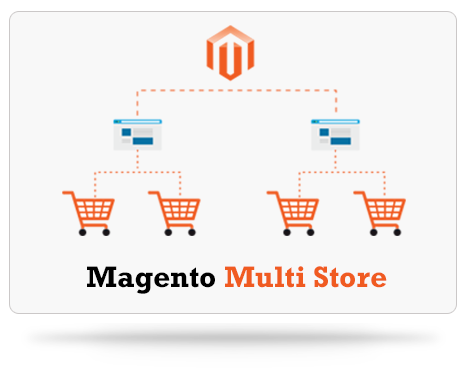 With effective multi-store Magento development services, Nano It World allows its clients to efficiently handle multiple online stores with a single admin panel. Based on the product categories and services, clients can run numerous online stores with and without different domain names with different IP's. Multi-store functionality makes it easy for store owners to share customer data and order data between two websites with the help of configuration option provided between both the sites. Qualified and experienced developers at Nano It World keep every aspect into consideration like look, structure, functionality and content of the website and come up with unparalleled Magento store designs. Multi-store services offered by us enable clients to sell a wide range of products in different categories and that too in an easy and effective manner. It not only increases their customer base, but also brings the same customers back to the website due to amazing shopping experience offered to them. One of the unique features of multi-store development services offered at Nano It World is that, we design SEO friendly Magento websites and implement SEO principles and rules while designing the online store. Some of the features include creation of unique titles and descriptions for all pages in different sites, image optimization, use of SEO friendly themes, use of 'alt' tags in images and auto-generated site map, among others. 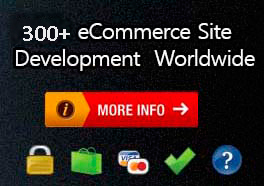 Nano It World offers high-quality multi-store Magento development services at highly affordable prices.